The result for NID DAT Prelims will be annouced on 19 March 2019. National Institute of Design (NID) offers 340 seat for UG (100 at Ahmedabad, 60 each at Kurukshetra, Vijaywada, Bhopal and Jorhat) and 275 seats for PG. NID is having its main campus and head office at Ahmedabad and the Best Design Coaching Institute for NID is Bhanwar Rathore Design Studio (BRDS) having its Head office at Ahmedabad. 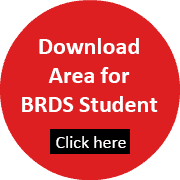 We recommend BRDS for NID entrance preparation as BRDS has highest selection record as compared to any coaching institute in India having 943 total selections in NID. BRDS is the only institute to publish full result year after year with brief about the students, their city, and photos. No institute in India provides results with so much detail. NID will first announce the result of the Prelims exam. The result will contain score secured by the candidates, and the qualifying status. Only the qualified candidates will be called for the Main exam. Click on the CHECK RESULT link on this page or visit the official website of NID at admissions.nid.edu. 3. NID Roll Number (as given in the admit card) OR Application Number and Verification Code. Candidates can check their qualifying status and save for future references too. NID declares separate merit lists for each category such as OPEN, OBC-NCL, SC, ST & PwD. Results for admission to NID for the M.Des., B.Des. and GDPD programmes (including overseas candidates) on the basis of the marks obtained in the DAT Prelims examination, shall be prepared will be declared only online on the official admissions website (www.admissions.nid.edu) as per the schedule. After the NID DAT Main 2019 exam, the merit list will be released and on the basis of it, admissions will be granted. The candidates can check all the important dates for the announcement of the NID Result 2019 from the table below. After the NID DAT Main 2019 exam, the merit list will be released and on the basis of it, admissions will be granted. This page will have details about NID Result 2019 for prelims and mains exam, including qualifying criteria and merit list. Note: No separate result scorecards will be sent individually to the candidates. Based on the merit list of NID DAT Prelims, eligible candidates will be required to appear for NID DAT Mains i.e Studio Test and Interview. The number of candidates shortlisted will be no less than three times the number of seats available per category in that discipline or programme. In case of a tie, i.e. if the total scores in the Prelims exam of two or more candidates is same, they will be assigned the same rank. The final merit list for each discipline of the B.Des., M.Des. and GDPD programme shall be published category wise, meaning based on the sum total of the scores obtained by the candidate at each stage of the admission process of NID DAT 2019. Candidates from the reserved categories shall be offered admission according to their rank in the first merit list. However, for the Open category, the lowest score of the last seat secured will be considered as the cut-off score. 1. Simply obtaining a rank in the merit list does not guarantee admission to NID. 3. Any requests sent without a scanned copy of the Admit Card will not be responded. 4. You can check scores of last year selected candidates to get an idea of probable cut off for 2019. 5. Candidates admitted to the B.Des and GDPD program shall be required to attend a mandatory foundation program of one-year duration. Allotment of a discipline of choice shall be based on a candidate’s merit and choice only after successful completion of the foundation program. 6. Aspiring candidates can apply to a maximum of ONLY TWO disciplines for the M.Des. program.